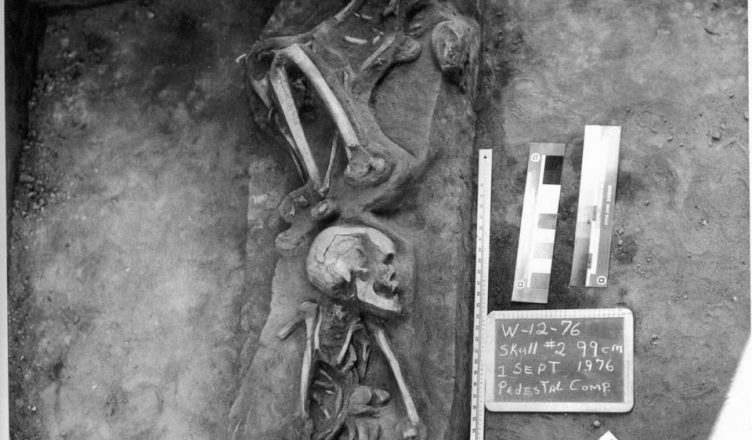 In 1976, Native American remains were unearthed beneath what is now the UC San Diego chancellor’s residence. The University House Burial Case offers an opening for examining the extent of legal pluralism in regards to indigenous rights; under our current legal system, does the tribe or federal government have the final say? Professor Heather Ponchetti Daly, a lecturer from the UC San Diego ethnic studies department, is a tribal woman who grew up in the Diegueño Kumeyaay reservation in north San Diego county. She told me about her personal stand on the issue of scientific research and analysis conducted on Native American remains, specifically about the University House Burial Case. In the summer of 1976, beneath what is now the chancellor’s residence, known as the University House located on the oceanside cliffs of La Jolla, two human remains were unearthed. Later, these Paleo-indian remains were dated to be 8,977 to 9,603 years old, making them some of the oldest in the nation. In the years since their discovery, the Native American remains have travelled to numerous locations all around the nation, including several universities and museums. Today, they are stored at the San Diego Archaeological Center by mutual agreement between UCSD and the Kumeyaay Cultural Repatriation Committee. You might wonder why these remains were transferred from place to place throughout the decade. Since these remains were discovered on UCSD property, why couldn’t they just be kept at our school for scientific studies? Or, since these human remains were identified as Native American, why haven’t they been returned to the rightful Native American tribe — in this particular case the Kumeyaays, who are aboriginal to the land where the remains were discovered? Before the Native American Graves Protection and Repatriation Act, these remains were under dispute regarding who should take possession of them. The act expressly requires that “culturally unidentifiable” remains be repatriated to the Indian tribes who are aboriginal to the land where the remains were discovered. After it was passed, the university’s human-remains policies were designed to comply with NAGPRA. However, NAGPRA itself is conflictory. NAGPRA expressly requires that “culturally unidentifiable” remains be repatriated to the Indian tribes who are aboriginal to the land where the remains were discovered; however, according to 25 U.S.C. § 3005, it does not govern the disposition of remains that are not determined to be “Native American.” Therefore, determining the Native American identity of these remains became the main focus of this case. However, what was also prominent in the process of repatriation was the extent of legal pluralism. This is defined as the existence of both federal and Indian legal systems that determine which party has final jurisdiction over the human remains. So, what are the rights and wrongs in dealing with these scientifically and culturally valuable remains? Tribal nations exist within the United States, but how are they “nations within a nation” and what legal powers do they possess? Professor Ross Frank from the UCSD ethnic studies department, a respected expert in Native American studies, reflected on legal pluralism and the hardship of determining the jurisdiction of federal law on tribal lands. This pattern of crimes has occurred a multitude of times throughout history, even as recently as the Muscogee Creek Nation Land murder case. Moreover, studies show that legal pluralism gives way to a malfunctioned system of justice that encourages law-breaking, thus increasing crime rates on reservations. The federal government’s position on the legal pluralism dispute is very clear — to make tribal nations the authority on the land given by the federal government and to give federal law precedence over tribal laws. Tribal governments, on the other hand, aspire to maintain jurisdiction over crimes committed on their reservations and over the law enforcement process that follows. Over the years, a recurring theme of conflict in a majority of treaties between the federal government and tribal nations reflects their power dynamic. While competing for land, both sides have tried to come up with a resolution to address their conflicting interests through treaties. However, as an attempt to tackle conflict with a final solution, a single treaty would often fail to be enacted within a short period of time. This gives rise to a series of treaties with policies going back and forth like a pendulum. The key issue that both parties wish to resolve is the extent of legal pluralism. Such legal pluralism also affects the University House Burial case’s final ruling. Although Congress has the ultimate power to modify or even eliminate the power of tribal governments, the sovereign immunity of Indian tribes under NAGPRA can not be waived. According to the Constitution and the newly rectified NAGPRA clause about repatriation of human remains, the Kumeyaays have rightful sovereignty over their remains. The conversation surrounding the University House Burial case has gradually diminished with the Supreme Court’s rejection to hear and review the case, but it leaves us with some important contemplation. The manifestation of legal pluralism is now a challenge for our generation. Photos courtesy of Jan Austin.